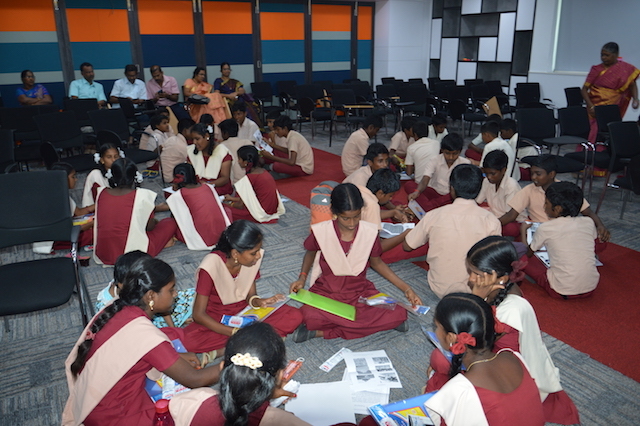 Team Everest Supported Gamesa in conducting ‘Gamesa Academic Excellence Meet’ for 160 students from 6 schools. 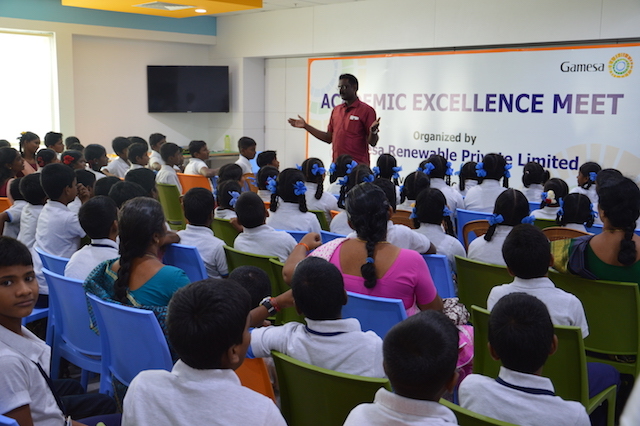 All students came to Gamesa office in Chennai to attend this program. 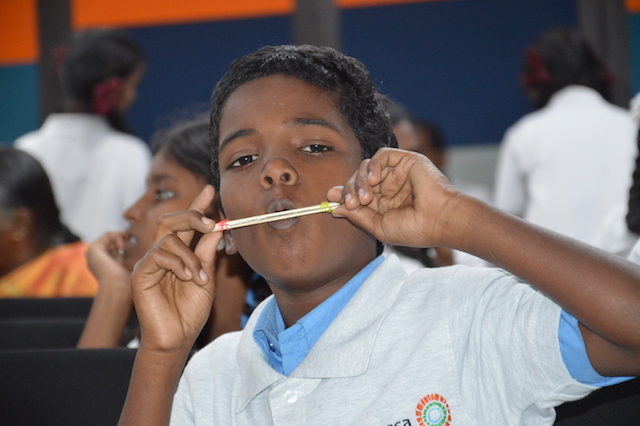 It is a 2 day program where we conducted various activity based programs for school students. The different programs includes Communication workshop, Public Speaking through Skit, Tangram, Presentation skills through poster making, Career Guidance program, Science is Fun, Power of Internet, Logical thinking workshops and a magic show. This is the first time all these children are visiting a corporate office. We got great feedback from all students for this event. All students are provided with breakfast, lunch and snacks for all 2 days. We had ice breaking games with all students before the start of the event. Communication Workshop for students. 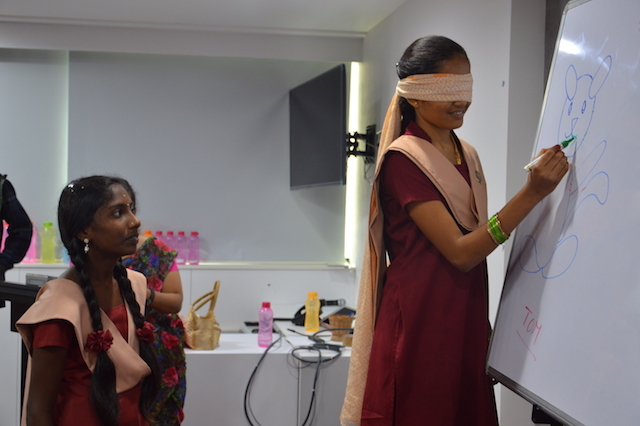 Students are taught about importance of communication, challenges with miscommunication etc through various games. Students are divided in to groups and each group is given a story. 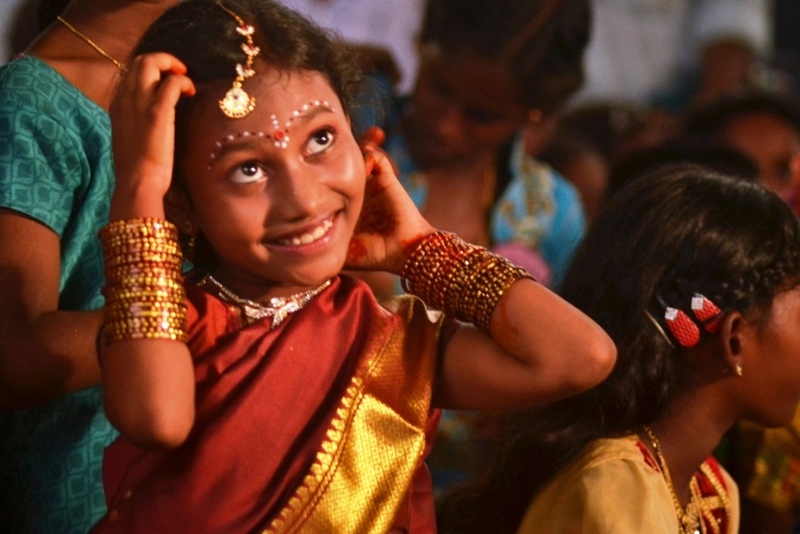 The students need to read the story and perform it as a skit on stage. Students performing skit on Stage. 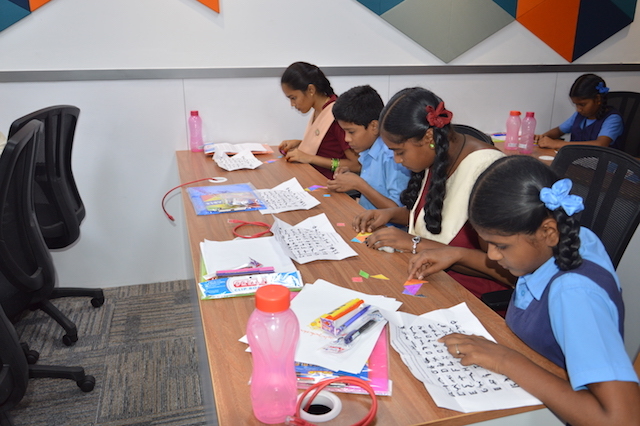 We conducted Tangram workshop for all students where they built various shapes using the Tangram kit that we provided to them. Tangram is a Chinese geometrical puzzle consisting of a square cut into seven pieces which can be arranged to make various other shapes. Last event of Day-1 is ‘Presentation Skills through Poster Making’. The students are divided into groups and each group is given a topic. 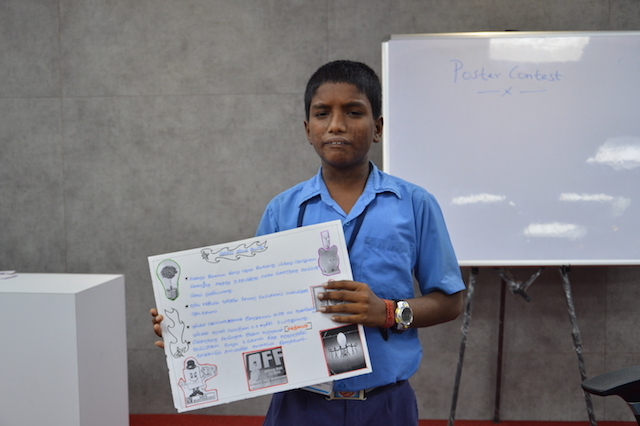 The students need to make a poster on the given topic and present about the topic in front of the judges. A student presenting his poster on stage. The team who made the better poster and made a good presentation was awarded with a prize. 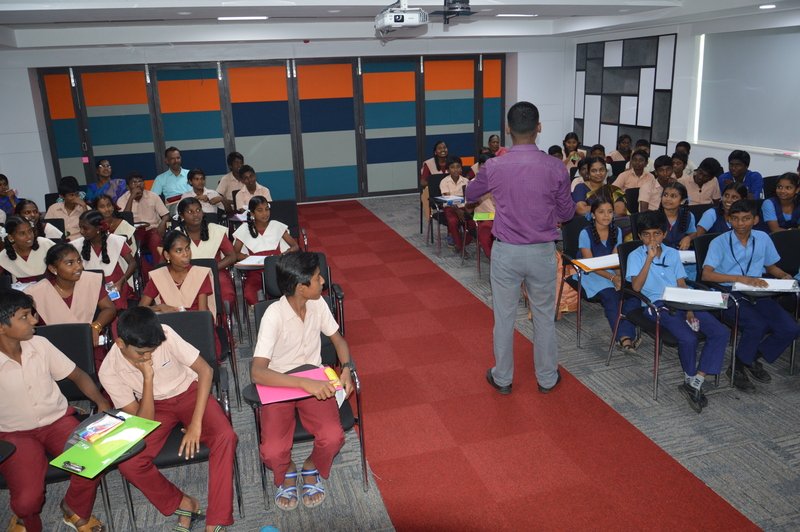 Day-2 started with ‘Career Guidance’ session by Mathivanan who has done many career guidance session in the past. He explained students on how to choose a career and what students need to do to choose a career of their choice. 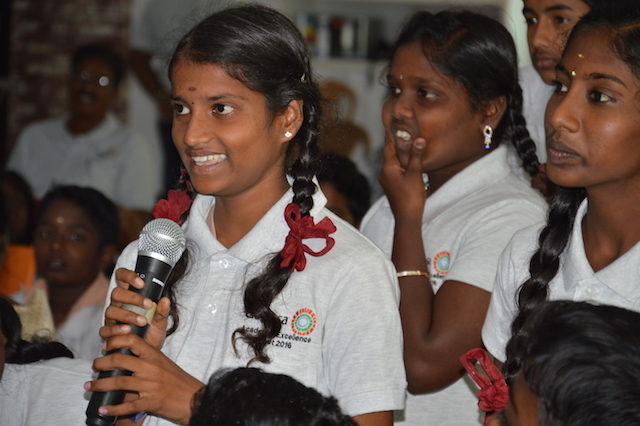 A student asking a question during the ‘Career Guidance’ session. 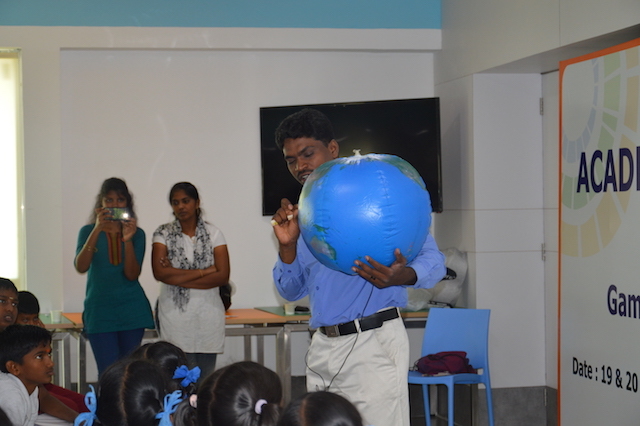 We had ‘Science is Fun’ Session where our trainer Mani demonstrated various Science activities related to Sound and Air Pressure. We also distributed materials to all children to conduct Science experiments along with the trainer during the session. A student testing the ‘Mouth Organ’ which he just created. 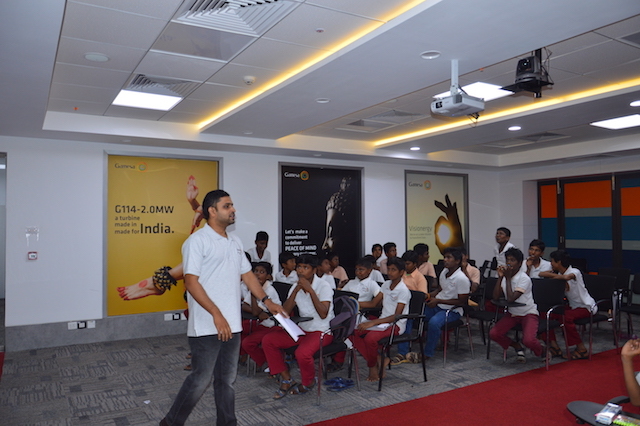 We conducted a session called ‘Power of Internet’ to introduce ‘Internet’ to Students. We explained about Google, Wikipedia, online banking, online shopping to students. 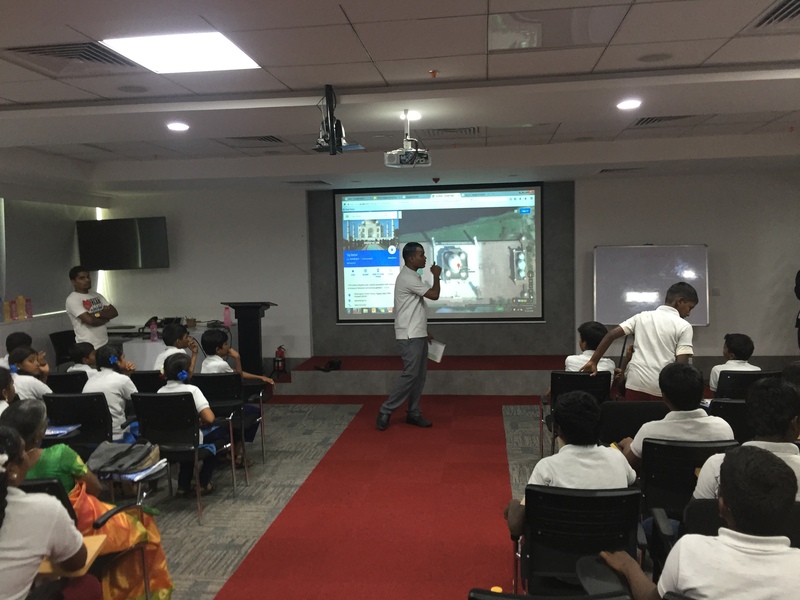 A volunteer introduces ‘Google Maps’ to students. 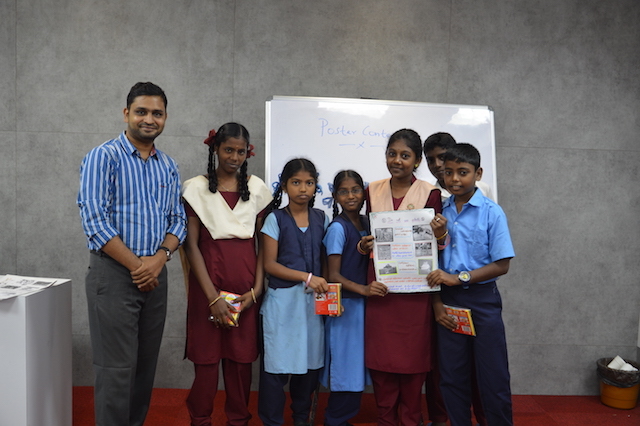 We conducted a logical thinking session for students where students were challenged with different puzzles. The student who answers the puzzle correctly received an instant prize. Thanks to Gamesa for giving Team Everest an opportunity to do these sessions for students. 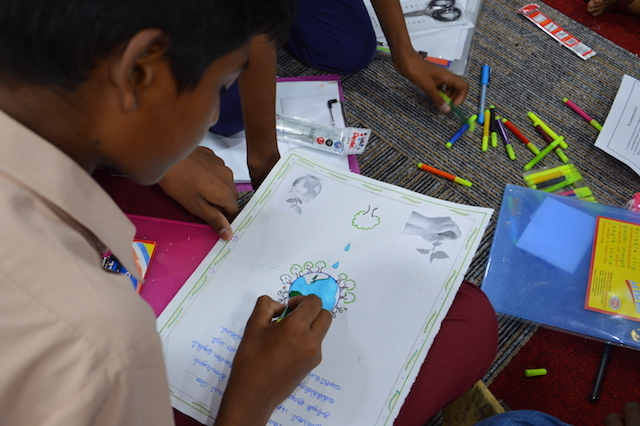 Team Everest would be happy to partner with different corporates to do many such CSR (Corporate Social Responsbility) events for school students. Feel free to reach out to us at info@teameverestindia.org or +91 89399 12365.